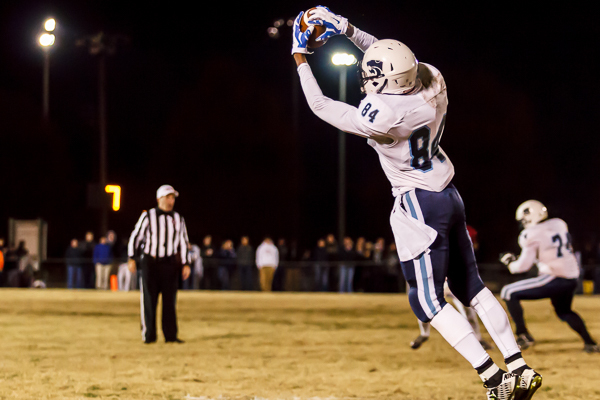 Centennial faces Hendersonville in the second round of the Class 6A playoffs Friday. Centennial (9-2) at Hendersonville (10-1), 7 p.m. Following their huge 28-23 first-round win over Franklin, the Centennial Cougars enter the next stage of their Class 6A playoff run with a second-round road contest against the Hendersonville Commandos. Hendersonville features one of the most potent offenses in the state, averaging 47.45 points per game. A big reason for its success has been its efficiency in the run game. In last week’s 49-20 win against Independence, the Commandos racked up 456 yards and six touchdowns on the ground. With their ability to execute the wing-T at a high level, they are a threat to light up the scoreboard at any given moment. In order to slow down the wing-T, every player on Centennial’s defense has to be on the same page during every single play. One slip up can lead to a Hendersonville touchdown in the blink of an eye. Leading the charge for CHS are defensive linemen Bryce Whitman (58 tackles, 15 TFL, 4 sacks) and Dylan Phillips (47 tackles, 10 TFL, 4 sacks, 1 int), linebackers Clay Carder (79 tackles, 13 TFL, 5 sacks, 2 FF, 1 FR) and Tyrel Dodson (56 tackles, 12 TFL, 7 sacks, 3 ints., 1 FF), and safeties Peyton Pisacane (80 tackles, 6 TFL, 1 sack, 1 FR) and Trent McDermott (47 tackles, 5 TFL, 5 ints., 1 FR). Dodson is coming off one of his best games of the year after he recorded 16 tackles (6 for loss), four sacks and one forced fumbles in last week’s win against Franklin. 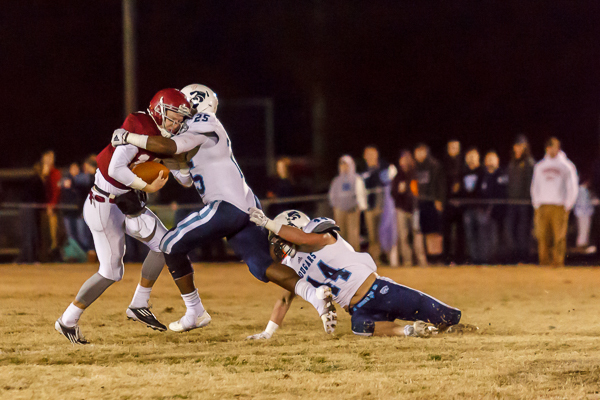 His physicality is something Centennial’s defense needs to emulate if it wants to stop Hendersonville. Just like Hendersonville, everything for the Centennial offense starts with its rushing attack. 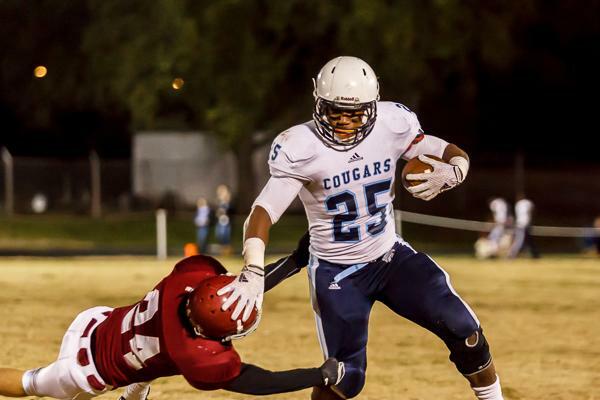 Headlined by running backs Deon Sanders and Dodson, the Cougars average 230.72 rushing yards per game. Sanders has handled the bulk of the load with 212 carries for 1,156 yards and 15 touchdowns, and 20 receptions for 193 yards and one score. Dodson has 57 carries for 586 yards and 12 TDs. Their presence on the ground will play a crucial role in moving the chains against a Commandos’ unit that’s allowed 17.45 PPG. If Sanders and Dodson can get rolling, the Cougars hope to find more open opportunities for quarterbacks Owen Roth (961 pass yds, 9 TDs, 6 ints) and Connor Rietveld (579 pass yds, 7 TDs, 2 ints) to find wide receiver and Missouri commit Emanuel Hall (45 rec., 862 yards, 12 TDs) through the air.